Firearms accidents and misuse have caused a total of 89 casualties in the seven years to June this year, according to police data released by a ruling party lawmaker. The figure does not include the two public officials killed in Tuesday’s shooting spree by a man in his 70s in Bonghwa, North Gyeongsang Province. 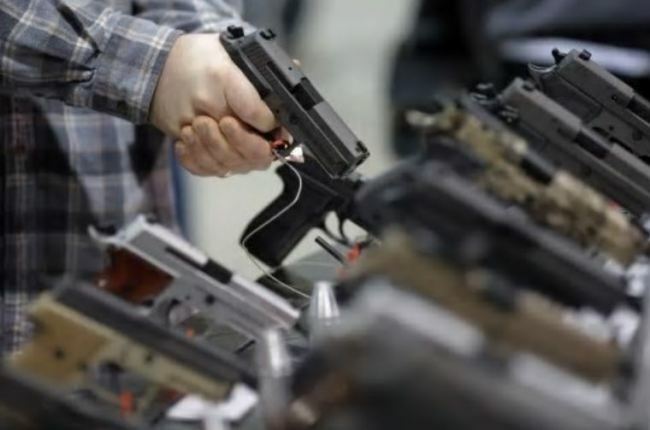 Data released by Rep. Lee Jae-jung of the Democratic Party of Korea on the public administration and safety committee showed that 32 people were killed and 57 wounded in 88 firearms cases since 2012. The number of firearms cases marked 11 in 2012, 13 in 2013, nine in 2014, 10 in 2015, 18 in 2016, 15 in 2017 and nine in just the first half of this year. Fifty-three cases involved hunting rifles and 28 involved air guns. By cause, 52 cases were accidental firings, 32 were intentional and four were suicides. While firearms accidents and misuse have increased, the number of cases in which gun possession was disapproved due to prior criminal records or mental illness has significantly dropped from 175 in 2016 to 93 in 2017 and 36 in the first half of this year. Of the guns for which permits have been revoked, 149 guns were yet to be collected as of June. “As hunting rifles continue to cause accidents, I plan to ask during the parliamentary audit about measures to better manage and retrieve firearms, and how firearms are delivered,” Rep. Lee said.